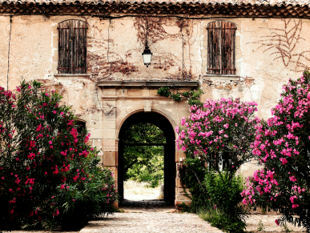 ﻿ Cycling Holiday in Provence| Self Guided Tours| Bike Rides. THE RIDES FROM OUR B&B BASED PROVENCE BIKE TOURS. We have been riding and living in the area for almost 15 years, so we can show you the real Provence that many bikers don't get to see with many of the larger, less personal Provence bike tours on offer. We have built up a directory of more than 30 GPS bike rides to suit all abilities; from those that prefer a leisurely 20 kms cycle along the flat to those that want a more full-on afternoon riding in the hills. We can also design rides on the spot to meet any specific needs that you may have. The fact that we use these backroads all year long, means that we know where the best rides & places to visit are. You'll ride through breathtaking countryside and historic stone villages, with great restaurants & wine chateaux, and many other sights that we'll point out	along your route (via our route notes). All our self guided routes start from our Bed & Breakfast single base and take you, for the vast majority, along quiet countryside back roads which see little traffic. We also make good use of 2 parts of the local bike route network - the first, a superb, new 30k stretch of converted rail track. 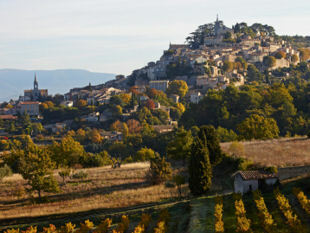 And the second, a pretty, 30k scenic section along the foothills of the Luberon and through its beautiful stone villages. Everyday we started with a wonderful breakfast to fuel us to start our rides, we were given advice on restaurants and best coffee spots. With the easy GPSs we were able to enjoy the beauty of the area, stunning views and delightful little villages to explore, including markets, galleries, churches, and lovely cafes and restaurants to enjoy our lunches. We never got lost and covered many kms. Jo & Will - Aus - May 18 - Cycling holidays review. Our stay with Neil, Natalene, Lucy, and Jamie turned out to be the highlight of our European holiday. Neil’s personalized route planning makes for a very enjoyable cycling experience. Each morning Neil discusses the cycling options and tailors the routing to your specific interest. There’s lots to choose from: hill top villages, ancient castles, vineyards, canals, outdoor markets, and of course, lavender fields. Lynn & Blair - Canada - Feb 17 - Cycling holidays review. His GPS guided tours are fantastic! He has tracked brilliant routes noting sites that are worth seeing and excellent stopping spots for lunch or ice cream. We headed out knowing how many meters we would climb that day and he always planned a pleasant down-hill at the end to bring us home. Bonnie & Eric - US - July 16 - Cycling holidays review. 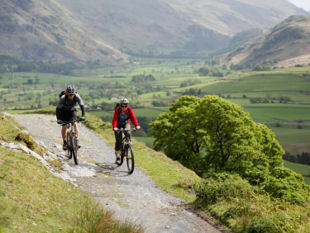 Neil has put thought into setting up an great biking holiday that copes with all abilities - rides can be adjusted to suit distance, weather, terrain etc. Bikes are comfortable and very suitable to the type of cycling which is mainly on quiet country roads taking you from one scenic village to another without the worry of traffic - the GPS system works perfectly. Joyce - NZ - May 15 - Cycling holidays review. A typical day involves a few stops to wander around the picture perfect towns of Provence and riding makes them much more accessible. You can park your bike in the centre of town, something you struggle to do in a car. The bikes are perfect for the job. Comfortable but not heavy and sluggish, well maintained and enough gears for any of the local hills. So 40 to 50k of riding, turns into a full day of enjoyment..
Roger - Australia - Apr 14 - Cycling holidays review. The location was ideal for all types of cycling enthusiasts and it was close to all sorts of well known tourist hot spots. Neil plans great rides that can be catered to your ability. Ezza - Australia - Sept 13 - Cycling holidays review. Each morning, after a scrumptious breakfast, you have the choice of up to 60 rides already programmed into the GPS system. Alternatively, Neil will create a new map for you tailored to meet what you would like to cover that day. 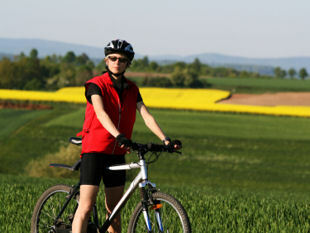 Gill - Australia - May 12 - Cycling holidays review. Bruce - US - Oct 12 - Cycling holidays review. Excellent. Whether you are a cycling newby of questionable fitness or a serious club cyclist, Neil would be able to come up with suitable rides for you starting (and finishing) at the B&B. The Luberon has some beautiful countryside and many traffic-free roads to enjoy. 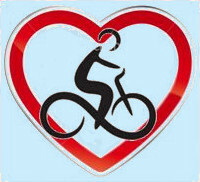 Carrie - UK - July 11 - Cycling holidays review. "For the more adventurous I would recommend a trip up Ventoux. It may not feel great at the time, in fact it mayfeel awful, but when you get to the top its an incredible feeling." Patrick - UK - June 10 - Cycling holidays review.